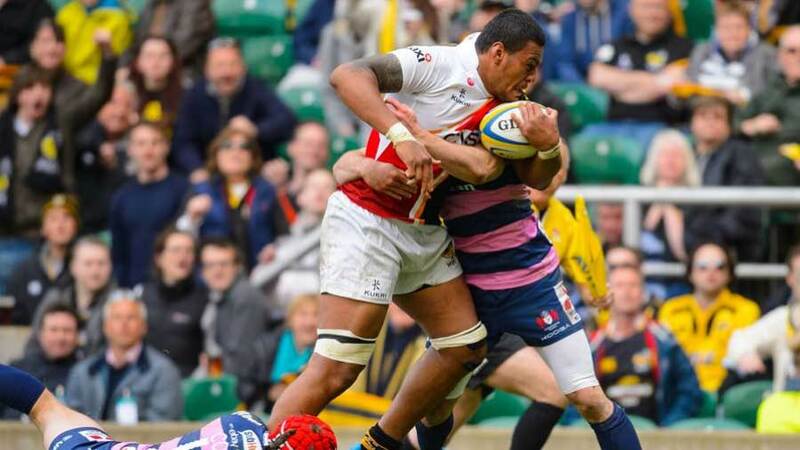 Wasps' Nathan Hughes is considering his international allegiance in the wake of his team's 38-30 win over Gloucester where he was named Man of the Match. Hughes, 22, got the better of England No.8 Ben Morgan in Wasps' win and talk has started regarding just where his international future lies. Hughes has revealed preliminary contact has been made by Twickenham in the knowledge he becomes eligible for Stuart Lancaster's team on residency grounds in two years' time. But knowing he could also represent Fiji or Samoa at the 2015 World Cup, he is waiting to see what unfolds over the coming months. "I'm not going to make any decisions yet, I still need more experience. Down the line I'll start making a decision over who to play for," he said. "I have Fijian and Samoan backgrounds, but if I wait a bit longer I might be able to play for England as well. "There have been a lot of calls and talk, but nothing face to face. Just over the phone. I'm just focusing with Wasps and if England want me, then we'll start making decisions from there." Hughes, who lines up at No.8, is playing his first season in the Aviva Premiership after joining Wasps from the Auckland Blues last summer. Having been refused a senior contract at the Super Rugby franchise, who wanted him to continue in the development team, he turned his attention overseas. A Lautoka resident in Fiji, Hughes played field hockey until winning a rugby scholarship at Kelston Boys High School in Auckland on the strength of one match - the first time he had picked up a rugby ball aged 16. "I played field hockey. I thought rugby was a girl's sport, while hockey was a tough sport because there's a stick and a ball. You can battered by the stick and the ball!" he said. "I can still remember what my first rugby coach said to me because he was down on players, asking if I wanted to play against a school from New Zealand. "I told him I don't know any rules, but he said all you have to do is catch the ball, run it straight and if someone has the ball then tackle them. So that's what I did and I got a scholarship on the strength of that game. The visiting team were scouting people as well." Wasps director of rugby and former Wales prop Dai Young describes Hughes' potential as "frightening". "Nathan certainly doesn't have any Welsh heritage, I've checked!" Young said. "Nathan is exciting because he's still so raw. He's a real ball of energy. It's frightening because he has a lot of growing to do and this is the first professional environment he's been in. He'll only get better from here."